The red bellied black is sunning itself on the track about forty metres in front of us. It hasn’t caught the scent of the dog yet or reacted to the vibrations created by our footsteps. We stop and watch it for a few seconds and that change in rhythm seems to alert the snake. Suddenly, a grey faced heron that is feeding amongst the samphire plants that line the foreshore of the lake, takes to the air. That is warning enough for the reptile and in the blink of an eye it has disappeared into the wetland. My companions are relieved, the dog is unaware and I must admit to being a little disappointed. They walk on ahead while I sit on a pine railing near the last point of sighting and watch. Sometimes a little patience pays off and after a few minutes I see just enough of the snake to fire off a single frame before it weaves its way deeper into the swamp. These rather striking snakes are quite common in the cooler wetland areas of southern Australia. They grow to around 2 metres in length and their diet includes a variety of small mammals, amphibians, fish and reptiles including their own species. 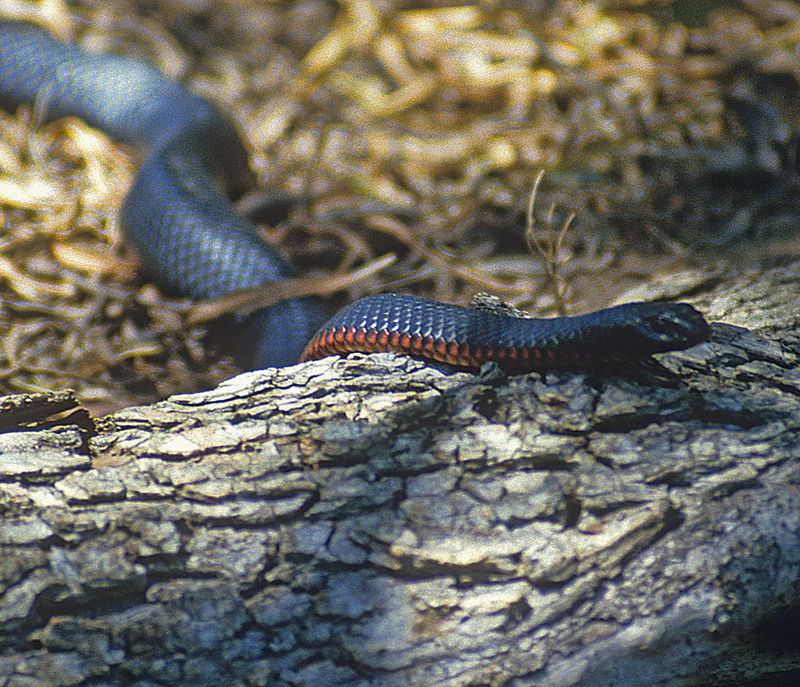 They are related to the deadlier and more aggressive brown and tiger snakes that also occur in this area. Red bellied blacks produce between 5 and 18 young which are delivered in a membranous sac; they are considered to bear live young rather than produce eggs. My encounter with the black snake occurs along a dirt track on the edge of the small town of Milang, on the shore of Lake Alexandrina. 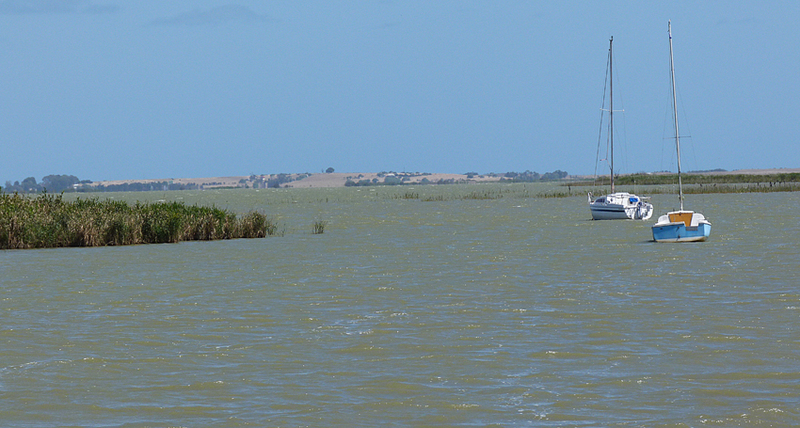 With a population of just 500 Milang is a charming reminder of the bygone era of paddle steamers and rural living. 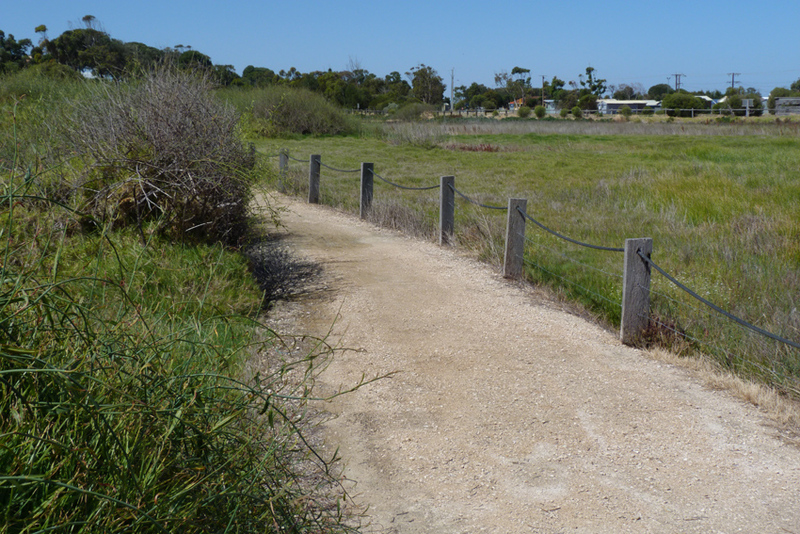 The little township is a pleasant twenty minute drive from the rural centre of Strathalbyn. It is accessed by both sealed and unsealed roads which pass through rolling farmland and vineyards. With a caravan park, wharf, general store, designated walking trail and several historic sites; Milang is a great place to spend a couple of laid back days in the South Australian countryside. Leaving the black snake to its swampy refuge, I walk further down the trail and to my astonishment I catch sight of a long slender tail protruding from the edge of the grass verge. I freeze and ‘ever so carefully’ step forward until ‘snake two’ is immediately below me. It is almost completely obscured by a tangle of grasses and reeds. I watch it for a few minutes trying to angle my camera for a worthwhile shot. No luck; the common brown snake; the second most venomous land snake in the world; remains motionless, using its colouration and shape to stay hidden. I step back to change the angle fractionally and when I glance back through the viewfinder the snake is gone…without the slightest sound it simply disappeared into the grass. 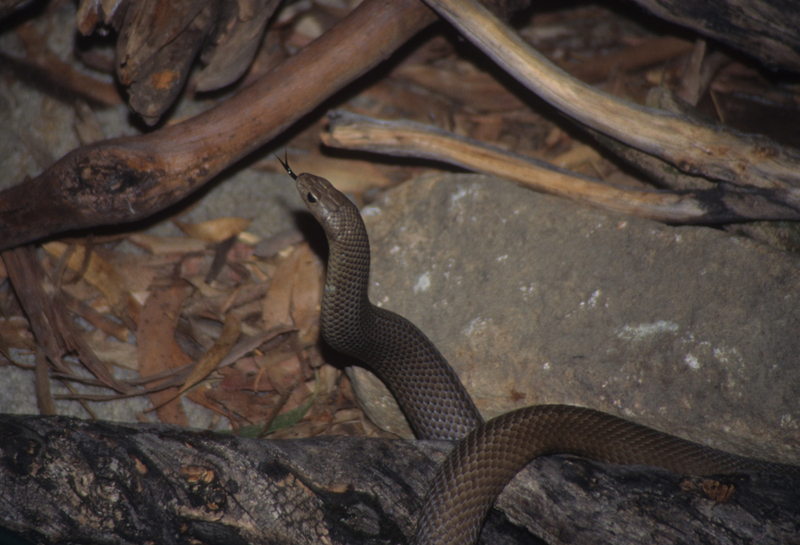 I have been photographing wildlife in South Australia for many years and I rarely see venomous snakes. To see two of the resident three species in the space of 15 minutes is extraordinary to say the least. Needless to say I did not run into a tiger snake on my return walk along the track.